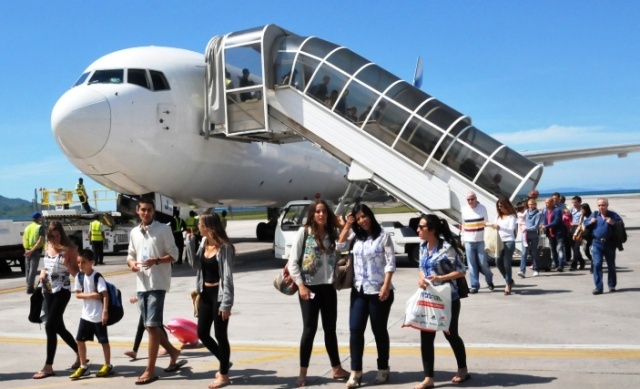 (Seychelles News Agency) - The Seychelles recorded a 10.7 percent increase in tourism arrivals in 2013 compared to the previous year, according to figures just released by the National Bureau of Statistics. 230,272 tourists visited Seychelles in 2013 compared to 208,034 in 2012. Seychelles tourism earnings of $3.6 million for 2013 also represents an increase of 11 percent compared to 2012, according to figures from the Seychelles Central Bank. "The strategy in place to market Seychelles is working. The annual marketing meeting where the industry's private sector and the government sit together to plan the year ahead is bringing the results we all wanted and expected," said Alain St. Ange, Seychelles Minister for Tourism and Culture, in a statement this morning. Out of the 230,272 visitors who came to Seychelles last year 213,036 came for holiday, 8,027 for business and 222 combined holiday and business. France remains the leading market for Seychelles with 35,698 visitors followed by Germany with 33,424 and Italy with 21,662. Compared to 2012 visitors from Africa increased by 6 percent in 2013 while Asia recorded a 19 percent increase with United Arab Emirates and China recording increases of 8 percent and 73 percent respectively, says NBS.